2016 marks the ten year anniversary of the first stash run at Northstar. 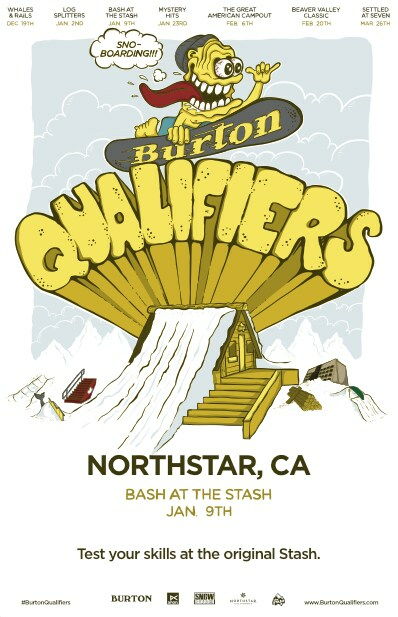 To celebrate, Burton has teamed up with Northstar to re-create an age-old event called, "The Stash Gathering". 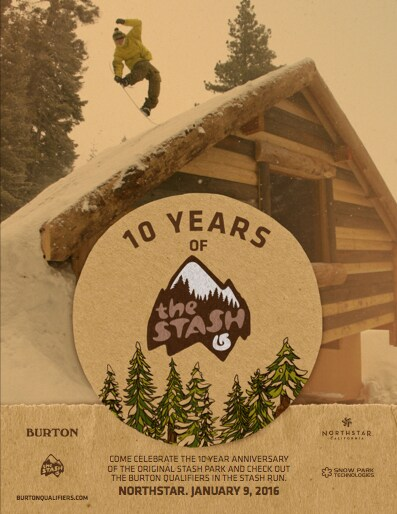 All summer, the Burton Resort and Events Team has been collaborating with SPT and Northstar to get the CK Cabin and Stash run ready for this event. Check out this video fly through of the run to get a taste of what you can expect to find in the Stash run this winter! The Stash at Jackson Hole is going off right now. If you haven’t had a chance to go check it out, now would be a good time. Just laying back in The Stash. Running a train on that log jib. Oh wait, that’s just Justin. Vermont finally got some good snow and The Stash at Killington is looking good. Tag along with Yukio Takahashi on a lap through the park. The Stash at Jackson Hole Mountain Resort is going off right now. With some new features and a good coating of snow, The Stash is ready to rock. THE STASH from karl steslicke on Vimeo. Finally … here’s the video edit of The Stash Gathering in Flachauwinkl from April 7th, 2012. The first leg of the two European Stash Gathering went down in Flachauwinkl, Austria on April 7th, 2012. Check out the full story and the video here.